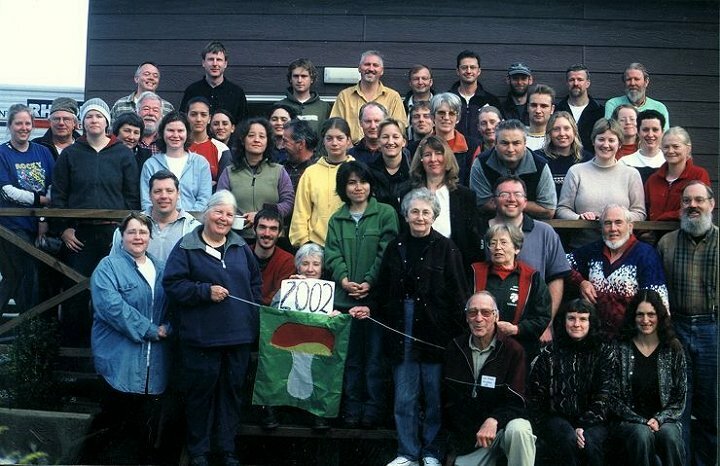 The 16th New Zealand Fungal Foray was held over the week May 5-12, 2002, based at the Haast Beach Motor Camp, Okuru. 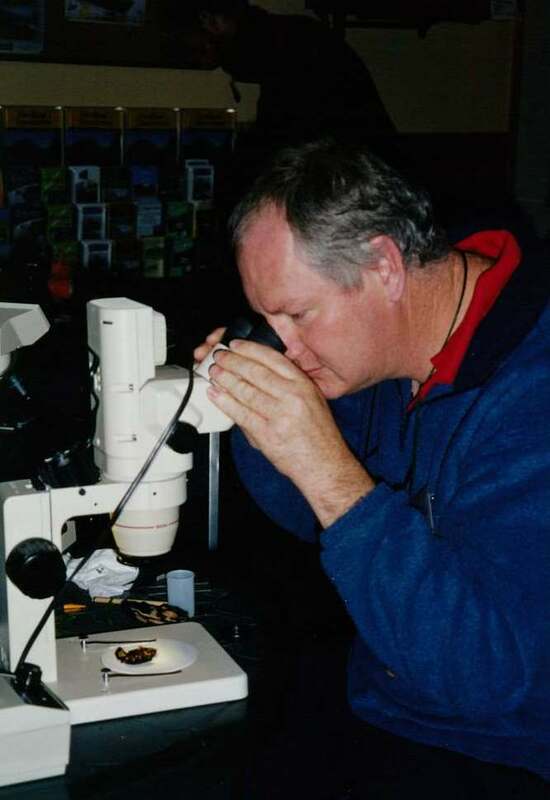 David Orlovich, the mycologist at Otago University, lead the organisation of the Okuru Foray. 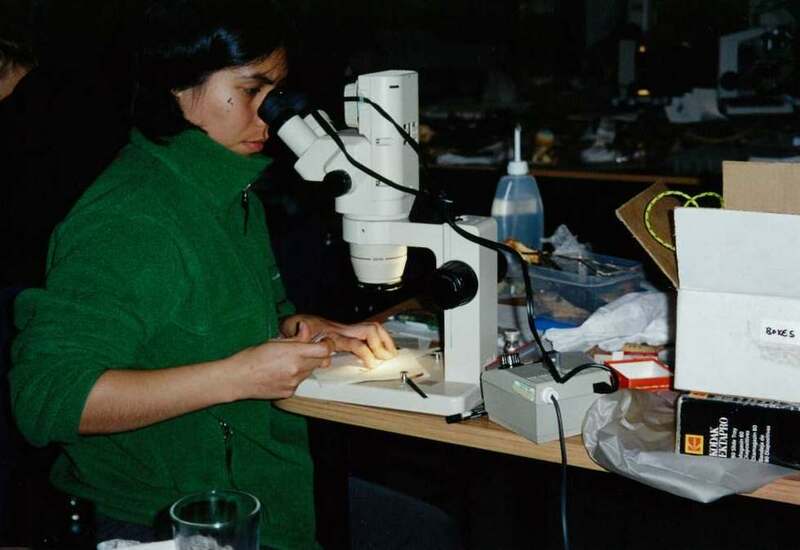 Over 50 people attended, included a large contingent of David's mycology students, amateurs from as far north as Bay of Islands, and overseas forayers from Thailand, UK, USA, and Australia. 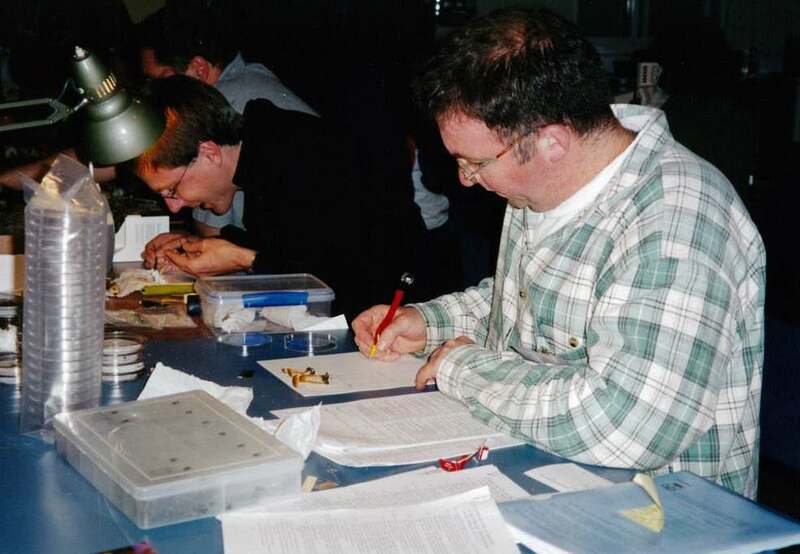 Collecting was carried out under the conditions of a permit issued by the Department of Conservation. 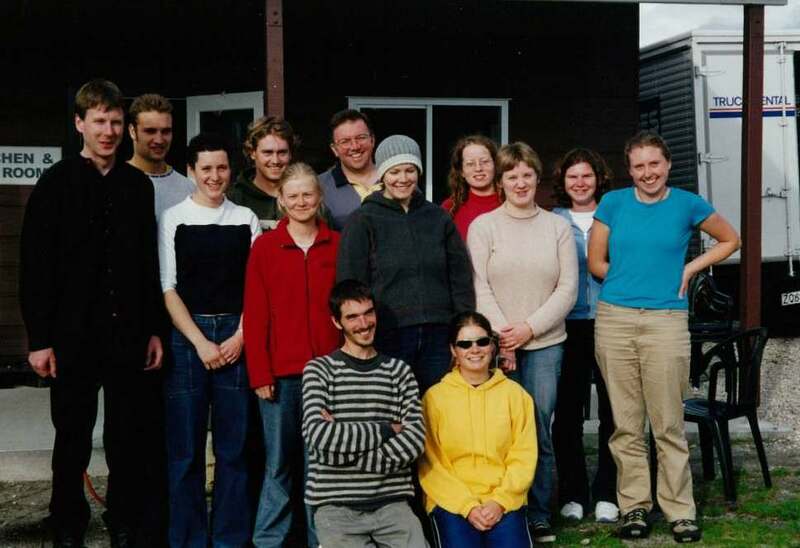 The main sites visited were along the sides of the road from Haast township towards the Pass, along the Cascade River road, at Jackson Bay, the walks at Ship Creek, the track to Monro Beach, the old cattle track between Lake Moeraki and Lake Paringa, and around Okuru itself. 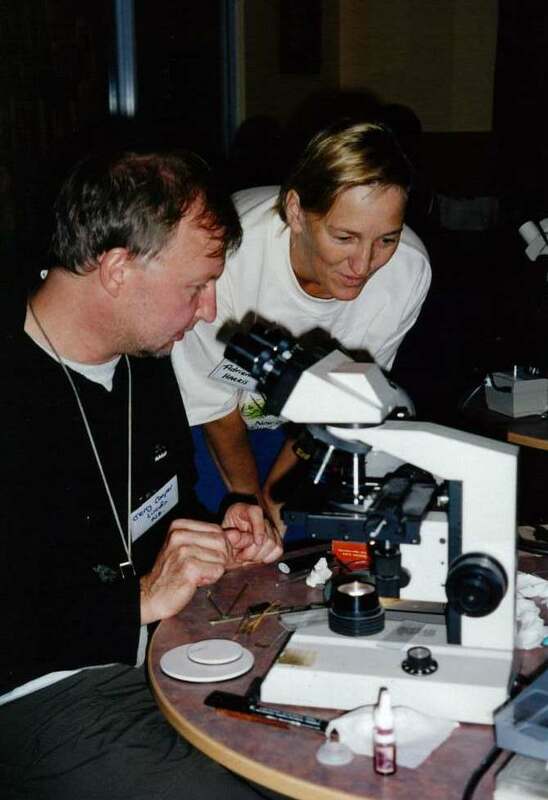 The afternoons and evenings were spent examining the collections, using the microscopes, making identifications, and learning lots of new fungi. 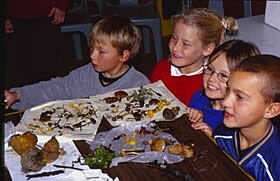 A visit was made to the Haast Beach School, and the children were taken out into the field to search for fungi in the vicinity of the school, and to learn something about the many roles fungi play in New Zealand's environment. 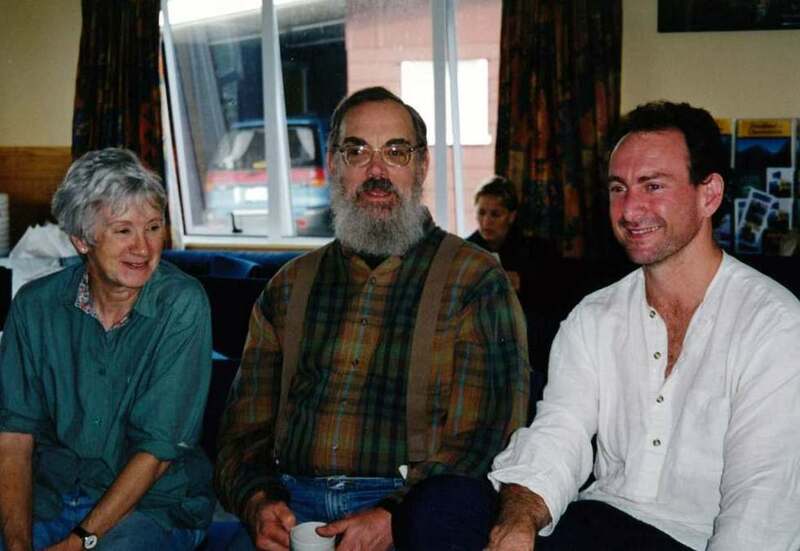 On the Wednesday David organised a "Mycological Colloquium", with talks by Richard Robinson (Western Australia), 'Fire adapted fungi and fungal succession following fire'; Jane Frohlich (Landcare Research), 'Mycoherbicides'; Jerry Cooper (Landcare Research), 'NZ Fungi website'; Anne-Maree Oliver (Otago University), 'Silent witness. 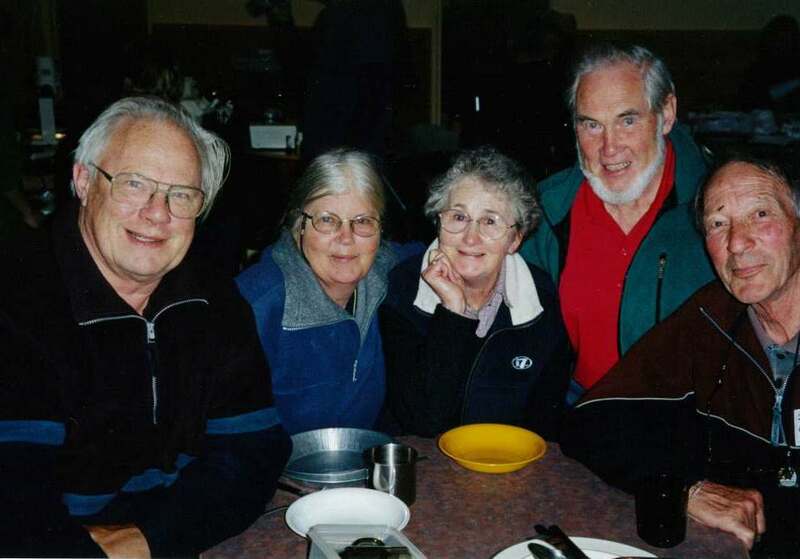 The investigation of a (fruit)body that lies in a morgue in Sweden'; Julia Russell (Canterbury University), 'VA mycorrhizas in podocarps and liverworts'; Shirley Kerr (Katikati), 'Fungi of the north Kaimai Range'; Geoff Ridley (Forest Research), 'Turning up the heat'; Ann Bell and Dan Mahoney (Wellington), 'Coprophilous fungi'; Peter Johnston (Landcare Research), 'Subantarctic fungi'; Rebekah Fuller (Auckland University), 'Maatauranga Maori a nga Harore. 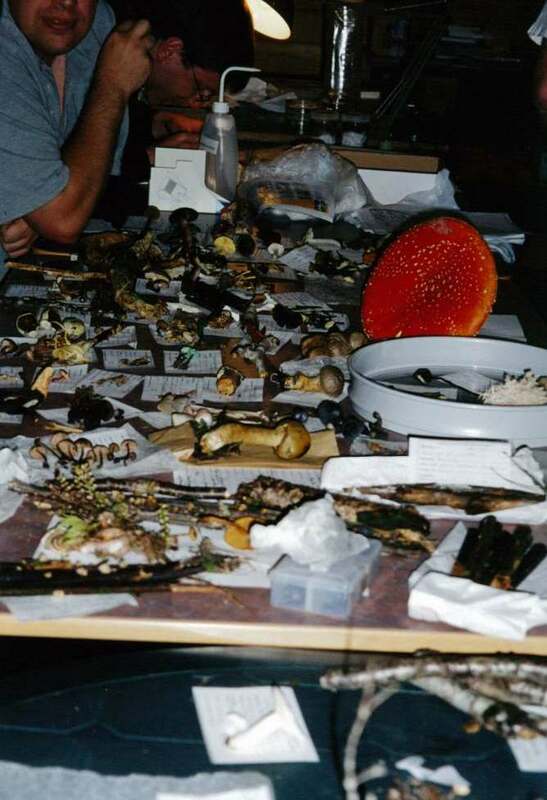 Traditional ecological knowledge of fungi'; David Orlovich (Otago University), 'Convergent evolution of truffle-like fungi Thaxterogaster and Protoglossum'; Simon Cook (Auckland City Council), 'Painted apple moth eradication programme'. 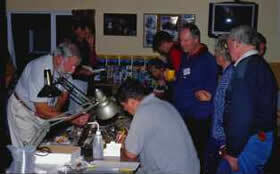 In addition, there were evening slide presentations by Don Horne and Taylor Lockwood. 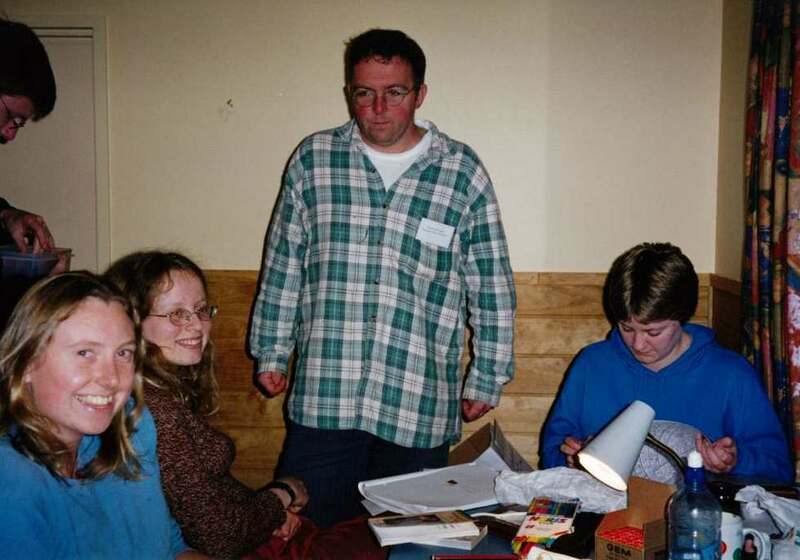 This year's Foray was well covered by the media, attracting staff from TVNZ, National Radio, and NZ House and Garden magazine, with most staying with us for two days. Programmes to feature the foray were TV1 News, 9 May, and a 25-minute item on the Country Life programme, National Radio, 31 May. 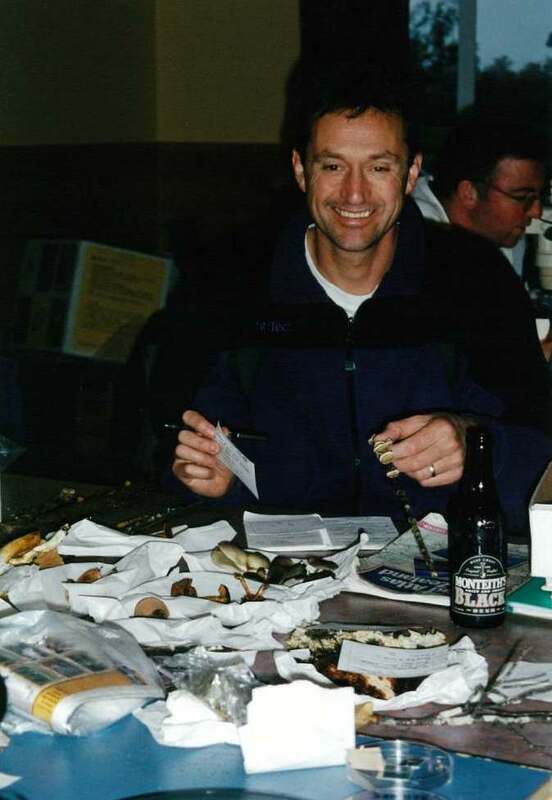 Despite all of this, the best part of the foray was as always - the opportunity to get together again with all the other fungal fanatics from around New Zealand! 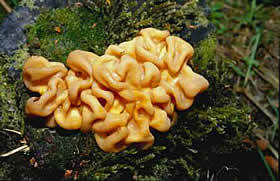 215 species of fungi were found during the week. 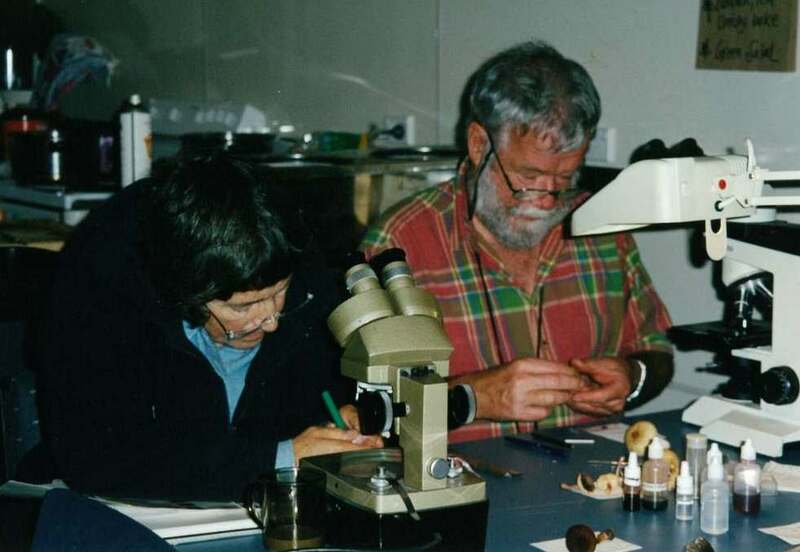 Over 90% had not previously been recorded from the general Haast area. 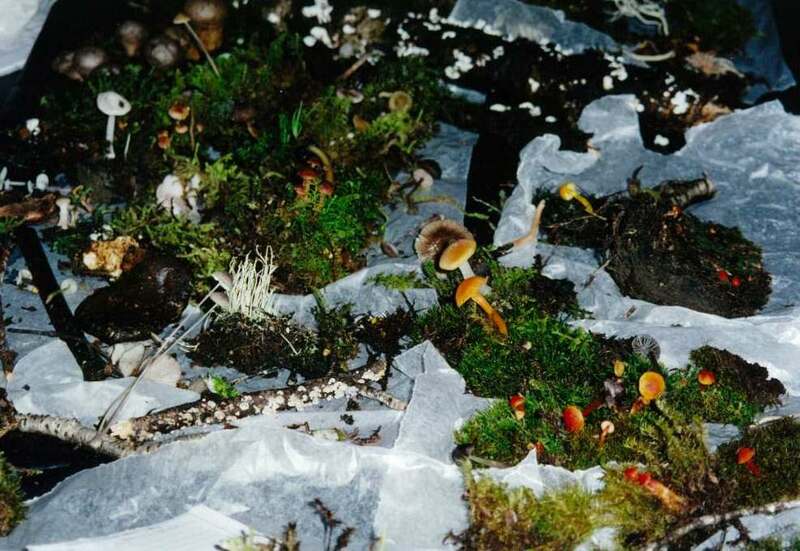 Although this is an apparently high number of new records, it reflects nothing more than the lack of distribution data for most of New Zealand's indigenous fungi, and the same kinds of numbers could be expected from almost all parts of New Zealand. 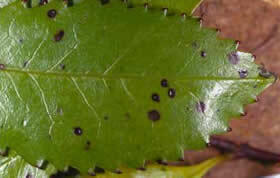 Interesting collections include several apparently undescribed Entoloma species, a Phyllosticta leaf spot on Ascarina lucida (no pathogenic fungi have previously been recorded from this plant), and what appears to be an undescribed genus of Helotiales from recently fallen twigs of Nothofagus. Another unusual find was an Ascotremella-like species (the 'brain fungus'), a discomycete (the hymenium covering the entire surface of the fruiting body) which recalls Ascotremella in structure, but with ascospores which are smooth-walled and globose.